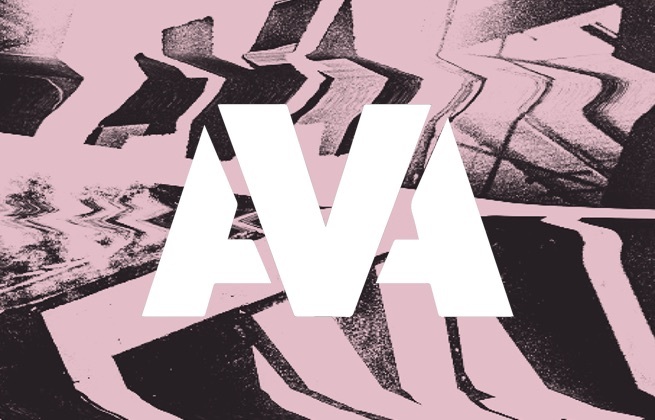 This ticket standard allows access for adults aged 18 and over to AVA Festival 2019 for both Friday and Saturday. This ticket standard allows access for 5 adults aged 18 and over for the price of 4 to AVA Festival 2019 for both Friday and Saturday. This ticket standard allows access for adults aged 18 and over to AVA Festival 2019 on Friday only. This ticket standard allows access for adults aged 18 and over to AVA Festival 2019 on Saturday only. Situated in the heart of the vibrant Queens Quarter, The Crescent Townhouse offers 3-star accommodation. The city center is merely away and the airport can be reached within 5-minutes. Visitors to the hotel can take pleasure in touring the city's top attractions: Tom Caldwell Galleries, No Alibis Bookstore, The Fine & Dandy Market. Each room at the Crescent Townhouse features an en-suite bathroom, flat-screen TV, and free fiber optic WiFi. 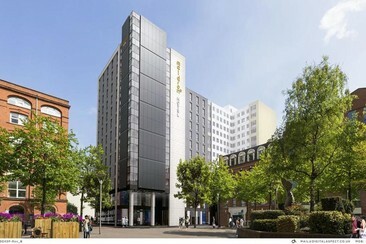 Ibis Belfast Queens Quarter hotel is just minutes from the restaurants, bars and cafés of Botanic Ave and Queens University and around 1km from the shopping and nightlife of Belfast city centre. The hotel has easy access to the M1, M2 and M3 motorways. The hotel provides contemporary, good value rooms with wood floors, desks, tea and coffee making facilities, free Wi-Fi access, satellite TV, cosy beds and ensuite bathrooms. Other amenities include a modern restaurant with a la carte menu and a relaxed lobby bar with snacks. This 4-star hotel is just a stone's throw away from a host of bars, restaurants, shops and top tourist destinations. The Comfy room features a king-sized bed, TV with satellite channels, minibar and en-suite facilities with complimentary toiletries. A daily Grub-to-Go bag filled with orange juice, granola pot and a piece of fruit is included. The hotel offers evening entertainment, guests can eat in Taylor & Clay, enjoy a drink at Courtyard bar or Baltic. The nearest airport is George Best Belfast City Airport, 2.5 miles from Bullitt Hotel. 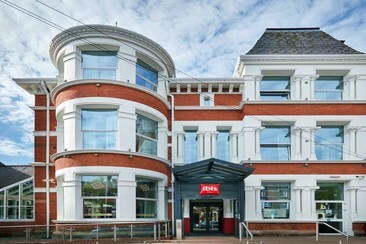 This Jurys Inn is located next to Belfast’s City Hall and Opera House. It boasts spacious rooms with flat-screen TVs, a 24-hour reception and a restaurant serving modern cuisine. Wi-Fi is available throughout the entire hotel. 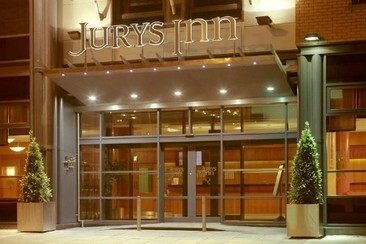 The stylish bedrooms at this Jurys Inn feature crisp white linens and a large workspace. The en-suite bathrooms include complimentary spa toiletries. Breakfast is served in the bright and contemporary restaurant, which also offers an international dinner menu. The bar serves lunch and snacks as well as a variety of coffees and drinks. Public parking is available at a location nearby, for a fee. George Best City Airport is just 3 miles away. 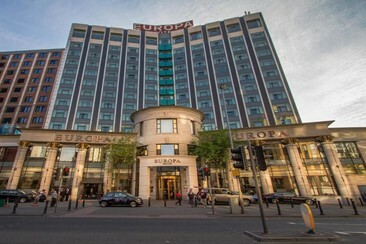 The world famous Europa Hotel in Belfast is located in the heart of Belfast City Centre, next to Great Victoria Street Railway Station. The hotel is a short distance from many of Belfast’s top visitor attractions including the Ulster Museum, Grand Opera House, City Hall, Titanic Belfast, Waterfront Hall and SSE Arena. The four-star Europa Hotel offers a choice of 272 hotel rooms include 92 executive bedrooms and suites. The rooms offer modern bathrooms decorated with glass and chrome. Guests can enjoy luxury bedding with designer fabrics from Ralph Lauren, and a flat-screen TV. Other amenities include a chic bistro, a polished bar and a piano lounge, as well as 17 meeting rooms and event space for up to 1200 guests. Maldron Hotel Belfast City is located in the heart of Belfast City, our budget-friendly accommodation is ideally situated minutes from popular tourist attractions, the Grand Opera House and Great Victoria Square. Great shopping, restaurants, historic landmarks and public transport options are right on the doorstep, making location the ideal base for any family or business trip. All rooms at the hotel come with a seating area and a flat-screen TV. 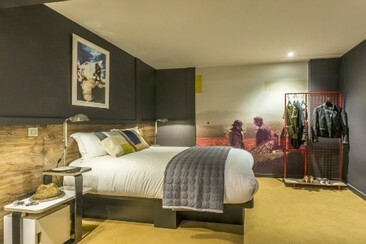 The rooms at Maldron Hotel Belfast City feature air-conditioning and a desk. 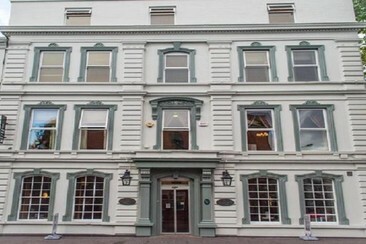 The Maldron Hotel Belfast City offers a variety of dining options from Grain and Grill restaurant. Located a few minutes’ walk from Crumlin Road Gaol, one of Northern Irelands’ top visitor attractions and ten minutes from the city centre. The Old Bank is ideally located with great transport links to the city centre. 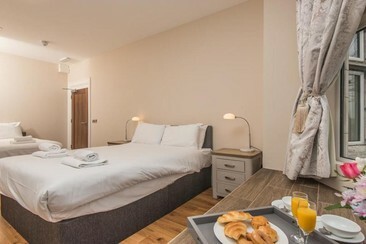 Each beautifully decorated Bedroom at The Old Bank boasts Hi-speed Wi-Fi, smart HD TV and ensuite bathroom with shower. There are rooms to suit all Groups and Budgets, includes Fridge, Kettle and Toaster and Tea and Coffee Making Facilities. There are also full kitchens throughout which guest can use at their leisure.